The move comes ahead scheduled appearance by Gunn at San Diego Comic-Con. 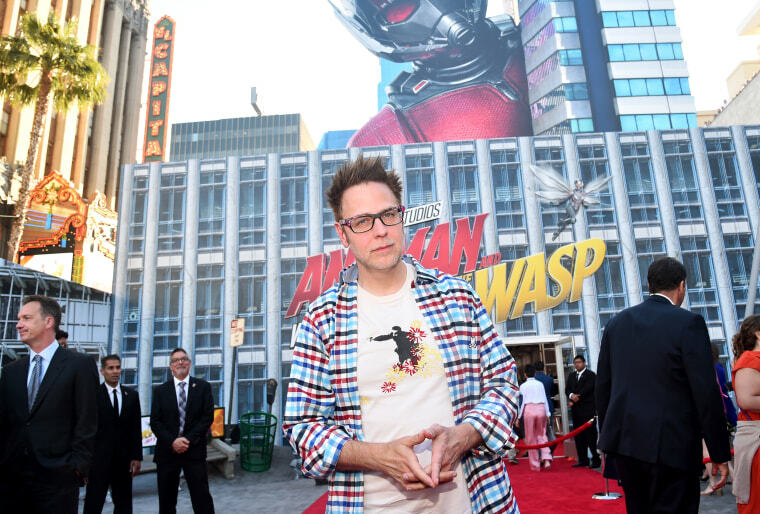 Amid the spectacle of Comic-Con weekend in San Diego one of the superhero genre's most well-known directors, James Gunn, was dropped by Disney Friday after a conservative publication dug up tasteless Twitter posts from a decade ago. Gunn was removed from "Guardians of the Galaxy Vol. 3" hours after the Daily Caller published since-deleted tweets from 2008, 2009 and 2011 in which the director crudely joked about the holocaust, sexual contact with children, AIDS and Mexicans. "The offensive attitudes and statements discovered on James’ Twitter feed are indefensible and inconsistent with our studio’s values, and we have severed our business relationship with him," Walt Disney Studios Chairman Alan Horn said in a statement. Gunn directed and helped write both of first two "Guardian" films and, according to IMDb, was expected to unleash the third installment in 2020. But his criticism of President Trump and, ironically, his defense of fellow director Mark Duplass, who expressed support for conservative columnist Ben Shapiro, appeared to have put him in the cross hairs of the Daily Caller and other conservatives. Gunn had teased a 6:15 p.m. appearance Friday at Comic-Con, but it was unclear if he would still appear. On Twitter the director apologized, saying, "For the record, when I made these shocking jokes, I wasn’t living them out." "I used to make a lot of offensive jokes," he said. "I don’t anymore. I don’t blame my past self for this, but I like myself more and feel like a more full human being and creator today. Love you to you all."